Our handmade iron & mosaic floor vases are sure to turn heads. 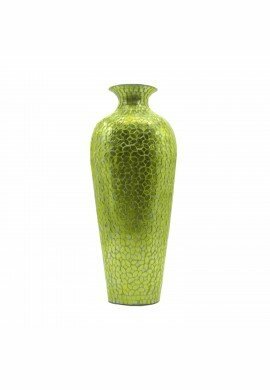 Sparkling glass mosaic tiles grace the exterior of these amphora-shaped shatterproof vases that provide the ultimate pop of color in your home, office or commercial decorating project. Decorative vases like this are great for more than just flowers! Combining the ancient arts of metallurgy and pottery creation, our artists hand-mold each aluminum vase. 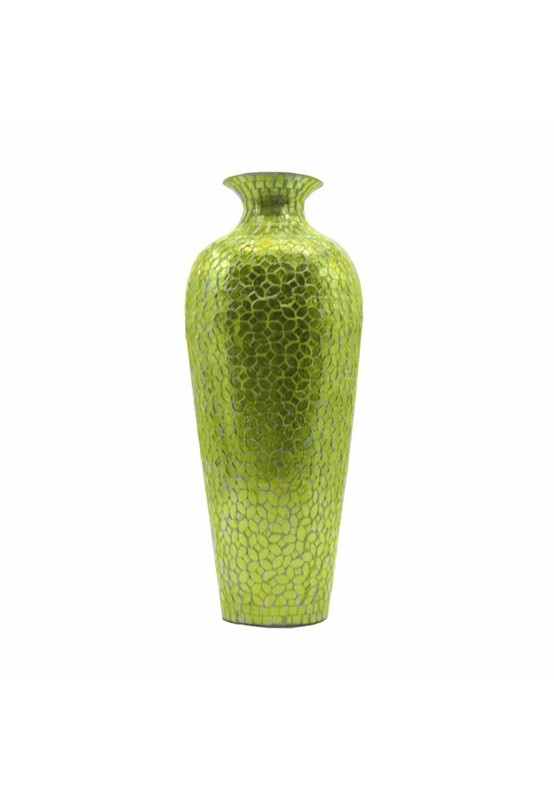 Each vase is finished using floral patterned mosaic tessellation, creating stunning visuals that begin to transform your space into an in-home gallery. The artistic look, bold colors and durable construction are just a few of the features you'll love. An ample 2" opening in a 4" lip leave plenty of room for decorative items; reeds, LED lights, greenery, floral arrangements & more. However, make no mistake...our Vedic Artware vases make a statement all their own; with or without additional accents.